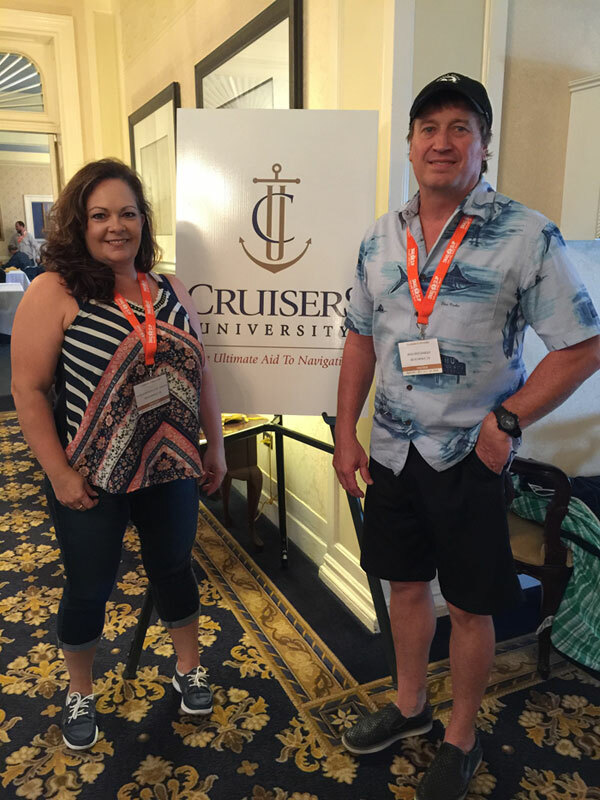 We caught up with newlyweds and sailors Marla Honeycutt Daigle and Pat “Boo” Daigle, when they traveled from Texas to attend Cruisers University, held in conjunction with the Annapolis Spring Sailboat Show. 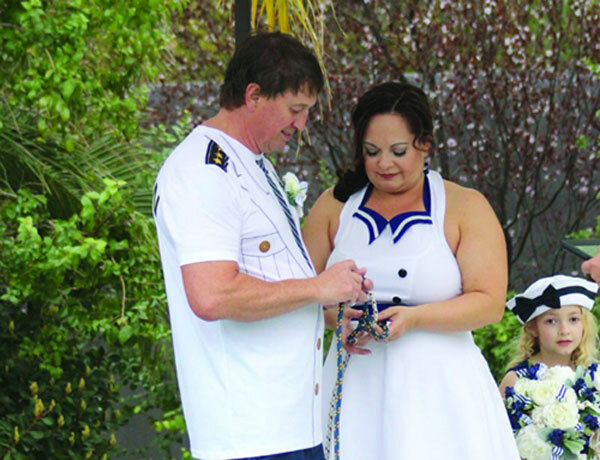 Earlier this year the couple tied the knot with a nautical-themed wedding, aptly dubbed their knot-tying ceremony. A honeymoon in Hawaii was planned, but the trip took a turn for the East Coast when they decided instead to enroll in Cruisers U.
Boo and Marla aren’t your typical newlyweds or new sailors. The couple likes to say they’ve had three first dates. They met more than 30 years ago and had their original first date during high school in the mid 1980s. They found one another again and had their second first date a quarter of a century later in 2014, when Marla began dating after her husband of many years passed away. They went separate ways for a while, until their third first date in 2016. “That third time was the perfect union and perfect timing. The stars finally aligned for us after all those years,” Marla says. By that point, Boo had been sailing for 25 years. He was self-taught on a Sunfish but had moved up to keelboats. Meanwhile, Marla had owned a Sea Ray powerboat. Both enjoyed being out on the water, but it wasn’t until Boo invited Marla on a day sail that she discovered how much she liked sailing. In fact, she loved it so much that she began looking for a sailboat to buy, and the two began taking sailing classes, quickly working their way through ASA 101-106. “Sailing has been a lifesaver,” says Marla. “As a business owner, work is stressful. The sailboat is my peaceful place. It feeds my soul and gives me the balance I need.” The couple sails Galveston Bay aboard their O’Day 322 Luna Sea, often cruising with Marla’s youngest daughter, Jazzlin, age nine. Their homeport, in Kemah, TX, is also home to one of Marla’s businesses, which is about a two-hour drive from their home in Louisiana. When they’re in Kemah for business, they stay on the boat instead of in a hotel or apartment. Boo and Marla are ready to take the next step and are in the market for a bigger boat. “Something small enough to day sail but large enough that that we won’t feel on top of one another during longer trips,” says Boo. Next year they plan to homeschool and extend their cruises to several weeks, or even months. “We’ll probably start with the Florida Keys to get used to the lifestyle and make sure Jazzlin adjusts well, then sail down to the Bahamas,” he says.